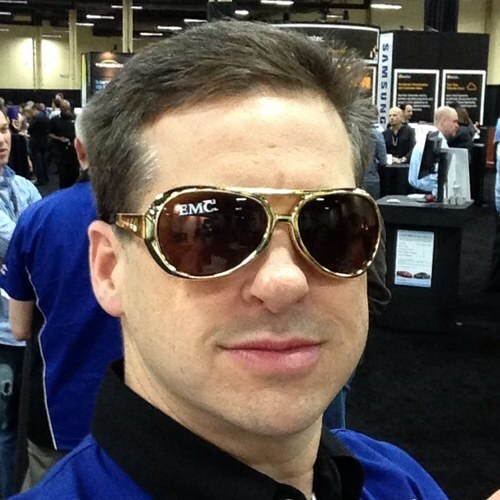 In this week’s episode, we invite Tommy Trogden (@vTexan) to join us to recap EMC World 2015. We cover XtremIO 4.0 “The Beast”, Data Domain 9500 “The Beast” – Backup Edition, EMC Code DevOps Days, VNXe3200 All Flash Array, VMAX3 w/ FAST.X and SRDF Metro, VxRack, vVNX and more. Blocks, Racks, and Appliances as a Converged Infrastructure approach are discussed in depth. We discuss CoprHD, the open source version of EMC ViPR Controller – and the free, unlimited capacity, unlimited node ScaleIO for non-production. And, we discuss OnRack, Project Caspain, and how customers are stepping into OpenStack. Aside from EMC World, we discuss a great YouTube Demo ofEMC Cloud Array using Amazon S3, EMC’s recent acquisition of VirtuStream, and much more. CIFS & Object Combined, Oh My!!! I recently took the opportunity to try out one of the new solutions that EMC picked-up through the acquisition of TwinStrata rebranded as CloudArray. The point here isn’t to give you a deep dive into the product, but instead, show you how to download, install, deploy, and use it to provide a CIFS share using AWS S3 as the object store. SAY WHAT!?!?! File on object? Yep, that’s essentially what EMC CloudArray does; it gives you (through a virtual or physical appliance) Block (iSCSI) and File (CIFS, NFS, SMB) storage with up to 60TB of local/on-premise cache (see tech specs here) for performance of data that resides in the cloud vendor of your choice. CloudArray works with 20+ cloud providers like: vCloud Air, AWS, RackSpace, AT&T, Verizon, etc…the theme here is CHOICE. For our first (hopefully!) weekly Podcast, my partner and good friend Brent Piatti joins me to break in the sonic tools at our disposal. We spend this episode having a bit of fun asking questions that reveal such deep insights as: “Would you rather fight 1000 duck-sized horses or 1 horse-sized duck?” or “Star Wars vs. Star Trek – which is it?” We also break down a bit our journey to becoming EMC SE’s and open the door to our personalities and what to expect out of your hosts. Let’s be real, we also had to actually figure out the technology we’d use to record, mix up our chemistry a bit, and figure out the technology required to get these words onto the interwebs! Enjoy our first cast, but be warned we don’t get too technical here. All future episodes will be tech, laced with our unique points of view.